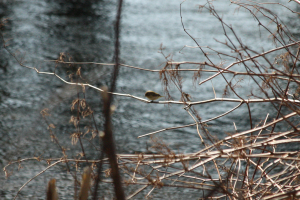 Observation - Chiffchaff (Phylloscopus collybita) - UK and Ireland. Description: One of a small flock looking for insects in the trees and bushes overhanging the river Rhymney. One of a small flock looking for insects in the trees and bushes overhanging the river Rhymney.